A trailer of Hollywood's famous comedy and action film series MIB (Men in Black) is released. This is the fourth sequel of the film. The name of its fourth sequel is Men in Black: International. 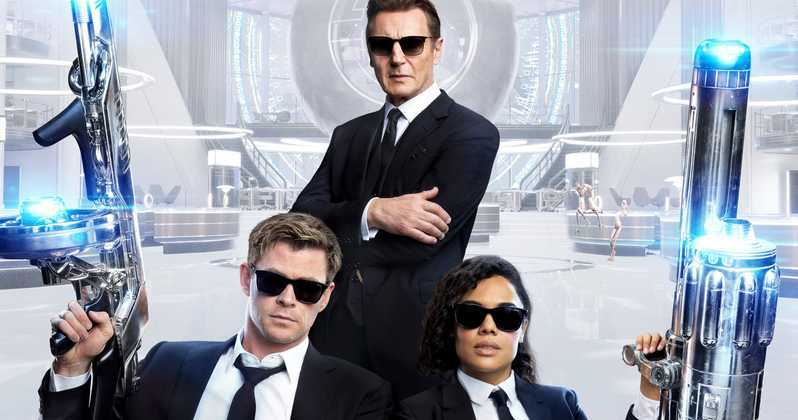 In the last three films of Men in Black, Will Smith and Tommy Lee Jones were in the lead role, but in the Men in Black International, Hollywood actor Chris Hemsworth and actress Tessa Thompson are in the lead role. The film's trailer has been released on Thursday. The viewers are very much excited for the movie. Great in action and excellent technology has been used in Men in Black International. Chris Hemsworth, who made a place in the hearts of cinematographers in the name of Thor in the trailer, is winning the hearts of the audience with his different style. The men in black: international trailer have seen more than 8.2 million times on YouTube. Let me tell you that Men in Black's last movie was released in the year 2012. The audience liked the movies a lot. In addition to Chris Hemsworth and actress Tessa Thompson in Men in Black International, actors like Rebecca Ferguson, Kumel Nanjiani and Raffe Spell are also in the lead role. This film is directed by F. Gary Gray. The film Men in Black International is scheduled to be released on June 14, 2019.